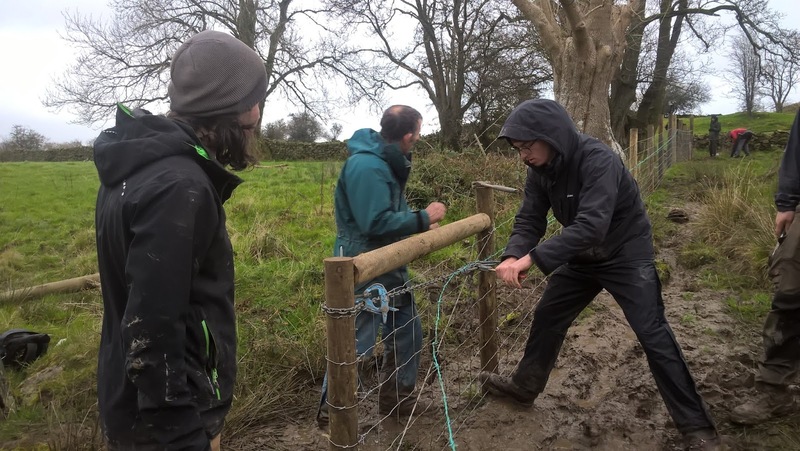 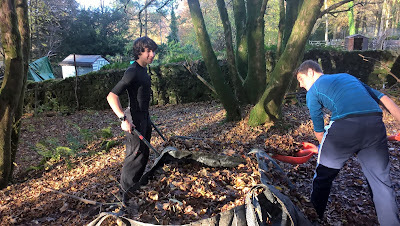 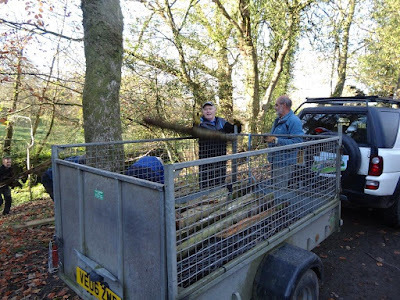 Examples of the invaluable work of volunteers ...in and around the Windermere area. 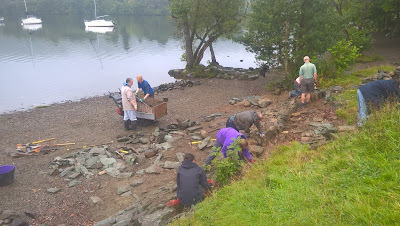 Lake-shore revetment work Cockshott, Windermere. 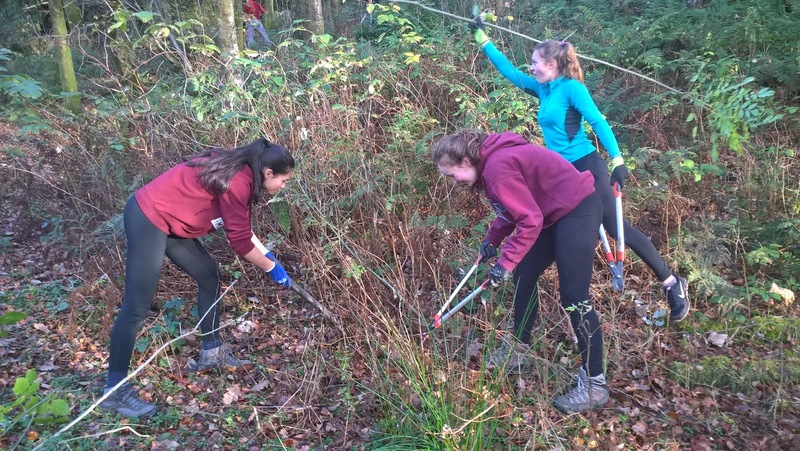 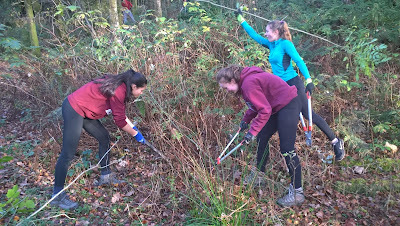 Windermere School working at St. Catherine's. 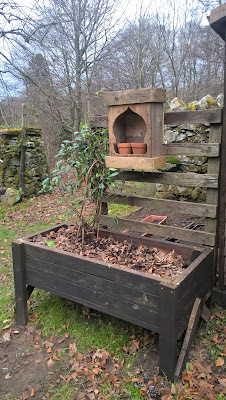 Thinning out ash and disturbing the ground to encourage growth of Touch-Me-Not Balsam in Spring..
..and collecting leaves for adding to the walled garden compost bins. 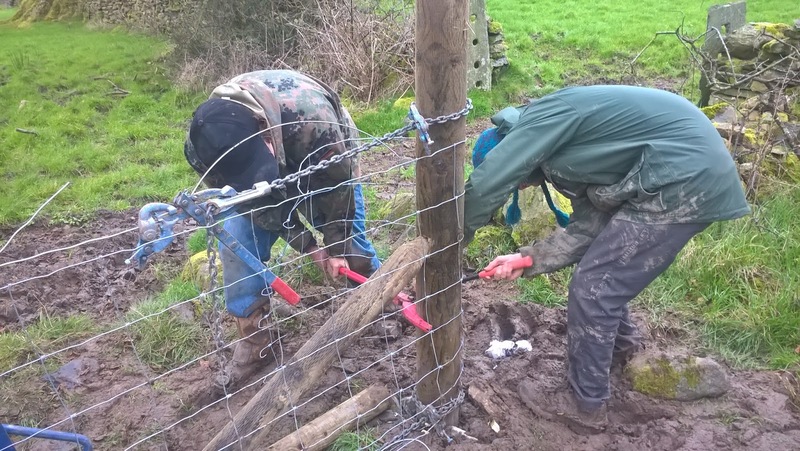 and taking down an old redundant fence. constructing a 'hedgehog house' from scrap wood. Stuart, long term gardening volunteer at The Footprint, has become an inspiring member of the Windermere team here at St. Catherine's. 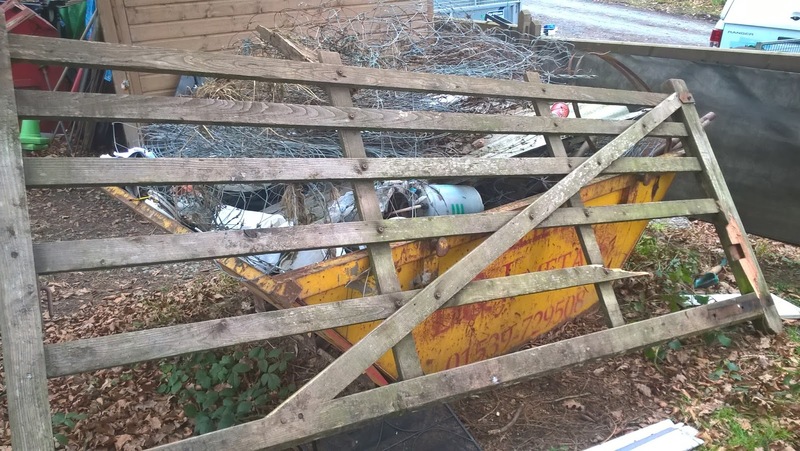 Stuart always has an eye on recycling so we find all sorts of useful and interesting objects refashioned from old gates and pallets. 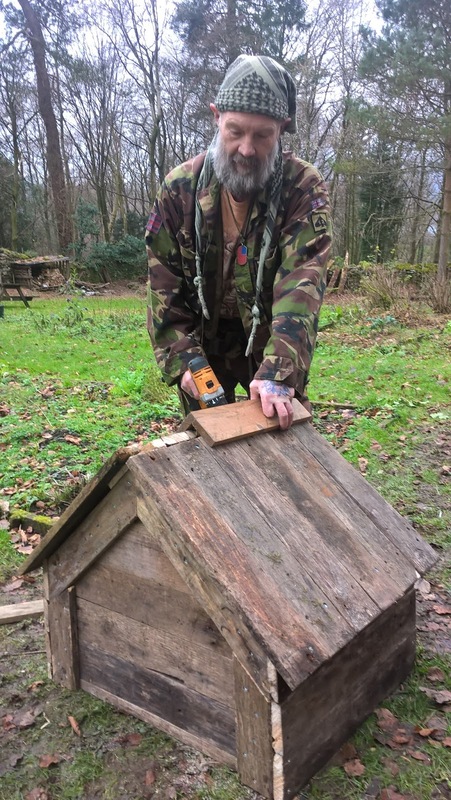 Above, he is completing his latest creation...a beautiful eco-home for hedgehogs. This old gate is tanalised and therefore unsuitable for firewood but rather than skip it Stuart has repaired the walled garden shed with some of the timber and made some trellis fencing with the rest. 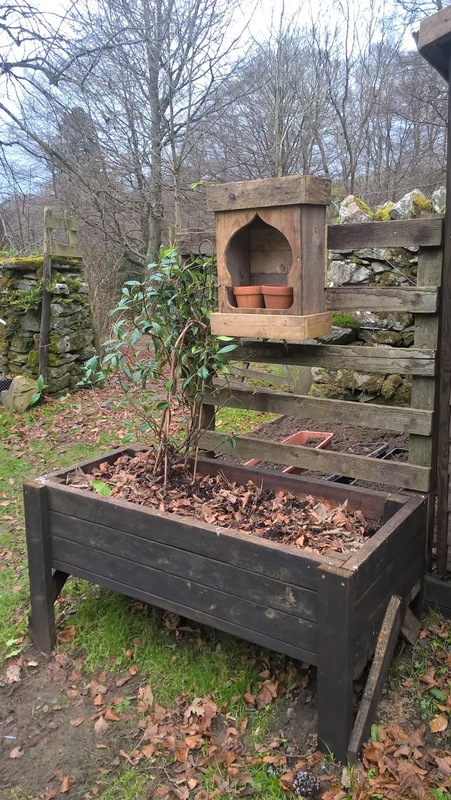 Stuart brought this Jasmine in from his own garden at home; here it is in the planter that he made from scrap wood with the trellis fencing behind. 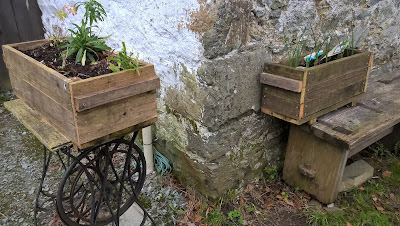 These images show planters created by Stuart for herbs and flowers which are offered for sale outside the Footprint in the Summer; donations go towards "The Walled Garden Project".